For those who haven’t followed the details of this debate, “the right thing” that German Chancellor Angela Merkel did was to admit into Germany last year more than a million refugees fleeing the now 5-year-old Syrian civil war. She did so for both moral and legal reasons. The possible political cost of this policy, as Cohen suggested, could be a drubbing at the polls once Germans got the opportunity to express an opinion by voting in spring regional elections. The regional elections – in Baden-Wurttemberg and Rhineland-Palatinate, both located in prosperous south-western Germany, and in Saxony-Anhalt, a struggling, unemployment-ridden province in the former East Germany – were widely anticipated as not simply judgments on particular local matters, but as a referendum on the “refugee question” and on the German chancellor herself. It’s an issue that has been roiling Europe ever since hundreds of thousands of civilian victims from the Syrian war began pouring out of their embattled homeland, landing in nearby countries such as Jordan, Lebanon, and Turkey, and then attempting to make their way to economically and politically more secure destinations, primarily in Europe, but even as far away as Canada (which settled some 25,000 Syrian refugees since the election last December of Liberal prime minister Justin Trudeau). More specifically, the three German regional elections were widely foreseen as a referendum on the “refugee policy” of Germany’s prime minister, Chancellor Merkel, the right-of-centre Christian Democratic Union (CDU) leader of the country for more than a decade, who had stunned both her followers and erstwhile political opponents last year. Long seen as a “customarily prudent” conservative chancellor, as Cohen characterizes her, Merkel surprised observers when she declared in 2015, as hordes of refugees attempted to escape the Middle East, that it was the moral and legal responsibility of Europe to provide shelter in the storm of war. Germany, it was understood, carried a particular responsibility as the European Union’s largest and strongest economy, and in historical terms as the inheritor of the genocidal Nazi legacy of World War II. Merkel announced that Germany would accept an unlimited number of refugees from the Syrian civil war, both on humanitarian grounds and in accordance with the German constitution and international refugee law, and she urged other EU members to do likewise. This “welcoming” policy, as it’s known, wasn’t unprecedented. In the 1990s, during the Yugoslavian wars, Germany took in more refugees, principally from Bosnia, than any other country on the European continent. 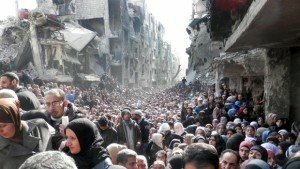 However, the displacement from Syria was exponentially larger in terms of the numbers of people involved. As a result of Merkel’s policy, Germany admitted a million refugees in 2015, and proposed to “integrate” them into a country of 82 million inhabitants. The statistics vary considerably between United Nations and German interior ministry reporting agencies, and there are distinctions to be made among Syrian, Afghan and Iraqi asylum seekers as well as sizeable numbers of “economic refugees” from non-war torn nations in, for example, North Africa, but it’s safe to say that Germany has taken in more refugees than any other country in Europe during the current Middle East conflict. While the percentage of newcomers is proportionally small (about 1.5 per cent) in relation to the population, it’s nonetheless an enormous number of people to accommodate. The international legal basis for such a policy, it should be noted, is the 1951 “Convention relating to the Status of Refugees” (or, for short, the “1951 Refugee Convention”), a United Nations multilateral treaty agreed to in Geneva that defines who is a refugee, and sets out both the rights of individuals who are granted asylum and the resp0nsibilities of nations that grant asylum. The refugee convention, which is not to be confused with the Geneva Conventions about the conduct of war, has been updated in the more than half-century since its establishment, mainly to expand the responsibilities of its more than 145 signatory nations. German constitutional law, in accord with the refugee convention, is known as the “Basic Law for the Federal Republic of Germany (Article 16a, [Right of Asylum], para. 1-5). There has been some debate in Germany on the legal fine points of the Basic Law, and especially on whether the numbers of refugees can be limited, but most experts I’ve spoken to believe that Germany’s high courts would not only uphold the legality of Merkel’s policy, but would be likely to require its enforcement. The last remark is Cohen’s response to former social democratic chancellor Gerhard Shroeder’s criticism that Merkel’s policy was a “mistake,” because Merkel had a “heart, but no plan.” (Shroeder, who is Merkel’s predecessor in the chancellorship, has since gone on from electoral politics to become a business executive at Russia’s Gazprom energy firm.) It’s true that the influx of refugees in Germany has been logistically chaotic as a strained bureaucracy scrambles to find even office space to process the paperwork, and improvises to temporarily house asylum seekers in such places as giant airplane hangers at Berlin’s former Tempelhof Airport. But as observers like Cohen insist, the question of heart may, for once, be more important than the admittedly messy practicalities of shelter and integration. The above, then, is the basis of Cohen’s claim that “Merkel did the right thing.” Naturally, the claim is arguable… loudly arguable, as it’s turned out. 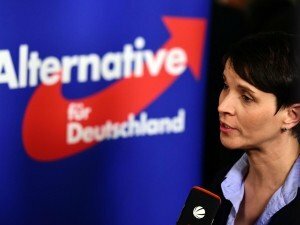 Its most vehement opponent is the 3-year-old Alternative for Deutschland Party (AfD), which was a rag-taggle group of right-wing populists until Dresden-born chemist, Frauke Petry, 40, pulled it together by focusing on the refugee question last year as the crisis broke and refugees spilled across Europe’s mostly open borders. It was Petry who suggested that police should shoot at refugees “as a last resort” to prevent unregistered asylum seekers from entering the country. The AfD has an unofficial ally, as well as some overlapping membership, in a protest movement based in Petry’s eastern German hometown, Dresden. The group is known as Pegida, which stands for the cumbersome moniker, Patriotic Europeans Against the Islamisation of the West, and it has been conducting anti-immigration and anti-refugee demonstrations since 2014, although Pegida’s protests haven’t really caught on in other German cities, and the Pegida protesters have often found themselves outnumbered by anti-fascist counter-demonstrations. Still, both Pegida and the AfD have found an angry, if xenophobic, constituency who have been roused by the refugee crisis to make their voices heard. While internal opposition to Merkel’s stance on refugees has been confined to a worrisome but parochial minority, her main political problems have been external, namely, opposition from the 28-member state European Union. Apart from Germany and Sweden, most of the EU members have been reluctant, to put it mildly, to take in significant numbers of the estimated 4 million Syrian asylum seekers. EU members with explicitly right-wing governments, such as Hungary and Poland, simply don’t want to accept any refugees and want Europe’s borders to be closed. Even those with a greater degree of sympathy for the refugees have begun calling for limitations on the assimilation of those seeking refuge. Germany’s own president, Joachim Gauck, recognizing the logistical nightmare entailed by the crisis, recently observed, “A limitation strategy may even be both morally and politically necessary in order to preserve the state’s ability to function.” He warned, “If democrats refuse to talk about limits, they leave the field open to populists and xenophobes.” A quarter-century after the fall of the Berlin Wall, many European nations are building new walls, fences, and locked gates. Finally, the German debate over refugees is but a small part of a far larger international context that involves an overlapping set of wars and lesser but intractable geopolitical tensions. The players engaged in the conflict begin with the embattled Syrian government of Bashar al-Assad and an array of internal if splintered opposition forces; the dramatis personae include the so-called Islamic State, holding territory in both Syria and neighbouring Iraq; and to complicate matters further, there is a roster of countries, ethnic groups and religious institutions – the U.S., Russia, Iran, Saudi Arabia, and a half dozen other Middle Eastern nations among them – all with separate, sometimes intersecting, more often conflicting, interests, goals and strategies. Asking voters in provincial German elections to take all that into account is a lot, even for those in the more sophisticated sectors of the electorate. Many, of course, would simply like to see the refugee issue disappear and they want to hear the voices of politicians who “tell it like it is,” in the style of U.S. presidential aspirant Donald Trump. Even in the midst of multiple provincial campaign rallies that required the chancellor’s presence, from Mainz in the west to Magdeburg in the east, and in the middle of fraught negotiations between the EU and Turkey where she’s a principal player, Merkel rather remarkably stuck to the principles she had established. 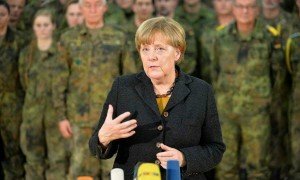 In a late-February Leap Year interview with the German public broadcaster, ARD, Merkel warned fellow EU members that the continuing crisis could not be allowed to plunge Greece, where refugees had been landing in large numbers after perilous sea voyages from Turkey, into chaos and closed borders. Bavarian CSU leader Horst Seehofer. She also defended her open-door policy for migrants, rejecting any limit on the number of refugees Germany would accept, despite the pending provincial elections as well as open divisions within her government. 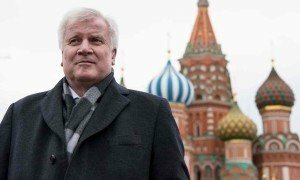 Horst Seehofer, the leader of the CDU’s sister party, the Christian Social Union (CSU), and the premier of the prosperous 12-million person south-eastern province of Bavaria, complained about Merkel’s government that “we don’t currently have a state of law and order. 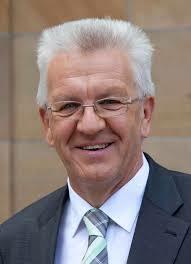 It is a rule of injustice,” he said, which in German suggests comparisons with the former undemocratic East Germany. 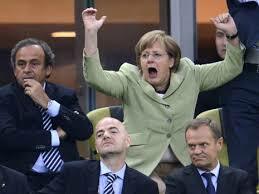 Merkel at German football match. She also, for good measure, denounced sporadic attacks on groups of refugees as “repulsive” and “unjustifiable.” All in all, it was a rare, perhaps heroic, political moment. It was unusual even for Merkel, who is notorious for muddling through on a range of issues. Heretofore, her most decisive moments seemed to be cheering for the German national football team at international soccer championships. 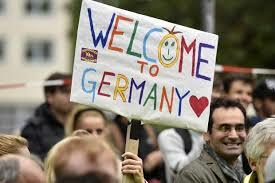 A fortnight later, Germans in three provinces went to the polls in unprecedented numbers. Pre-election polling foreshadowed AfD gains that would produce double-digit results in all three provinces and that’s what happened. 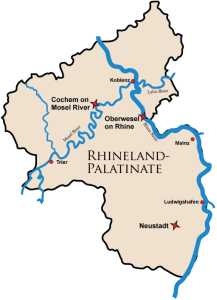 The AfD took 15 per cent of the vote in Baden-Wurttemberg, 12.5 per cent in Rhineland-Palatinate, and a notable 24 per cent in Saxony-Anhalt, to become that province’s second largest party. Much of the right-wing vote came from those who previously hadn’t bothered to vote, but some of it was peeled off from former CDU voters. Voter turnout increased across the board, running at about 70 per cent levels. The AfD, already represented in five German provinces, will now hold seats (and increased numbers of them) in half the country’s 16 provincial legislatures. At the same time, all three provincial incumbent premiers held on to their offices, despite the overall decline of the “mainstream” CDU and Social Democratic (SPD) parties. Nonetheless, the initial press reports emphasized the rejection of Merkel’s policies and party: “Merkel’s party suffers drubbing in German state votes,” declared Reuters news agency (Mar. 13, 2016); “Setback for Angela Merkel as Far Right Makes Gains in Germany,” said the New York Times (Mar. 13, 2016); and “German state elections: Success for right-wing AfD, losses for Merkel’s CDU,” announced Deutsche Welle.com (Mar. 13, 2016). However, the “topsy-turvey logic of the current political situation in Germany,” as one reporter described it, wasn’t as simple as an angry surge in support for anti-refugee forces. 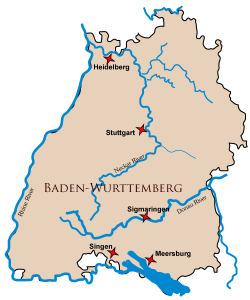 Baden-Wurttemberg provides an interesting example of that logic. It’s an historic stronghold of the CDU, but in the previous provincial election of 2011, in the wake of the Fukushima nuclear disaster in Japan, although voters gave the CDU a 39 per cent plurality, under Germany’s proportional representation voting system, the second ranked Green Party, with 24 per cent of the vote, formed a ruling coalition government with the third place SPD, at 23 per cent, and Green leader, Winfried Kretschmann became the provincial premier. In the 2016 Baden-Wurttemberg election, the outcome had surprises other than the right-wing accession to office. For the first time in the province’s recent history, the Greens became the leading party with just over 30 per cent of the vote, and Kretschmann, the supporter of Merkel’s refugee policy, was re-elected. The CDU declined by 12 per cent to 27 per cent and a second place finish. The SPD had an equally poor showing at under 13 per cent, which dropped the social democrats to fourth place, behind the AfD’s 15 per cent. How much of Kretschmann’s re-election can be attributed to his position on refugees and the contrasting more distanced position of his local CDU opponent, is not known, but it’s suggestive, because something similar happened in neighbouring Rhineland-Palatinate province. There, the Social Democrat incumbent Maria Luise “Malu” Dreyer, another supporter of the open door refugee policy, marginally increased the SPD’s vote to 36 per cent to remain the province’s leading party. The CDU’s candidate, Julia Kloeckner, often touted as a possible successor to Merkel, but who also distanced herself on the refugee question, finished second with nearly 32 per cent of the vote (about a 3 per cent decline from the previous election). There was also the AfD 12.5 per cent success, and a sharp decline for the local Green Party. Again, the coalition arrangements will see the Social Democratic incumbent remain in power. Finally, there’s Saxony-Anhalt, a former eastern German province that has had relatively less contact with refugees than most provinces, but whose fears of being overrun by foreigners are inversely high compared to its experience. The province’s impoverishment and unemployment no doubt contribute to its psychological antagonism to possible newcomers with strange cultural habits. However, the CDU dropped only 3 per cent of its vote there, and retained its first place position with 30 per cent, as well as securing the re-election of premier Reiner Haseloff. The Left Party, the SPD and the Greens all saw declines, and a surge of new voters produced a second place finish for the AfD with 24 per cent of the vote. Despite the initial verdict of a drubbing for Merkel, by the next day, at least some of the press was saying that the “AfD’s remarkable gains don’t tell the whole story.” Said one Guardian analyst, “The prevailing narrative in swaths of the press – that the results are a rejection of Angela Merkel’s refugee policy – is simplistic.” Even in Saxony-Anhalt, where the AfD did best, the governing CDU dropped only 3 points, and exit polls reported that “a substantial majority of voters across all parties, except the AfD, prefers an open and tolerant society to a traditional one.” In Baden-Wurttenberg, where Kretschmann’s Greens finished first for the first time, nearly one in three former CDU supporters opted for Kretschmann, citing refugees as the reason for the switch. When pundits and prognosticators search for a rationale to explain the degree of support expressed for opposition to the refugees, much of the talk in Germany echoes the attempts to explain the “straight-talking” Trump phenomenon in the U.S. The people are angry, it’s proposed; against the political establishment, the public wants to hear voices of authenticity, those who “tell it like it is.” But of course, Trump and his counterparts in Europe don’t at all tell it like it is. In fact, anything but. What such allegedly authentic “outsiders” tell people is what they want to hear, what they already believe. Zizek’s criticism of such psychological fantasies that present themselves as authentic truth is to the point. The more radical perspective that is needed, Zizek claims, is “a deep existential experience by means of which it all of a sudden strikes us how stupidly meaningless and arbitrary our customs and rituals are – there is nothing in the way we embrace and kiss, in the way we wash ourselves, in the way we behave while eating…” that is either “natural” or necessary.